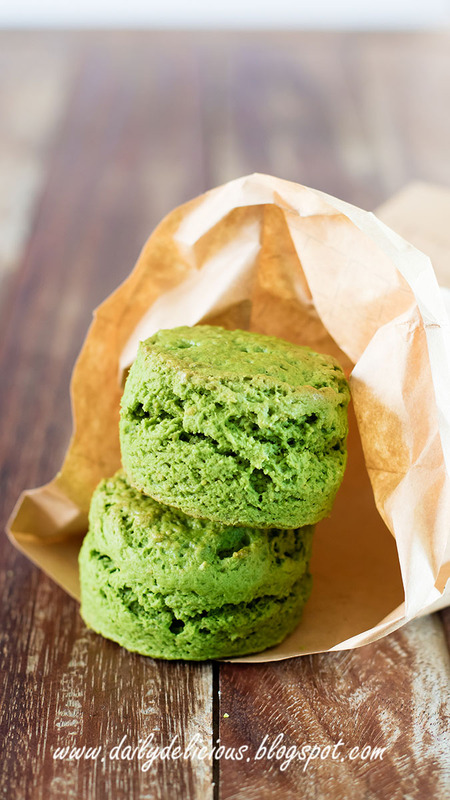 Because I just came back from visiting my favorite cafe, and even the cafe close, I still want to enjoy delicious green tea scones ^^. 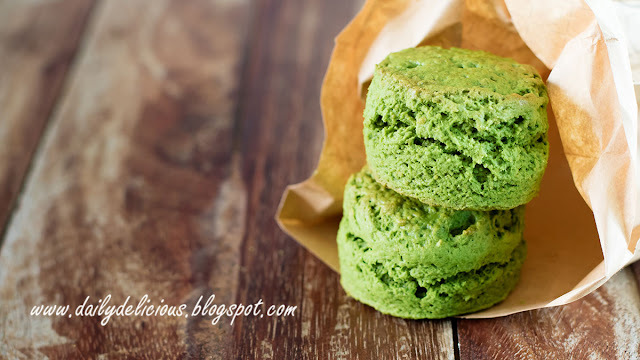 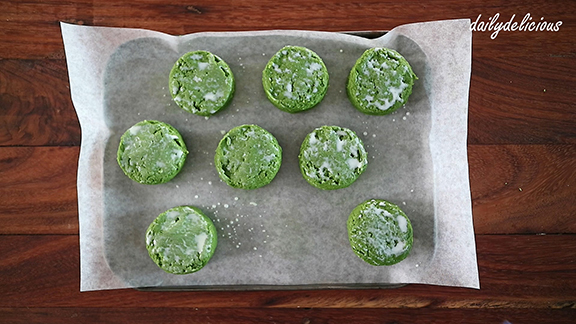 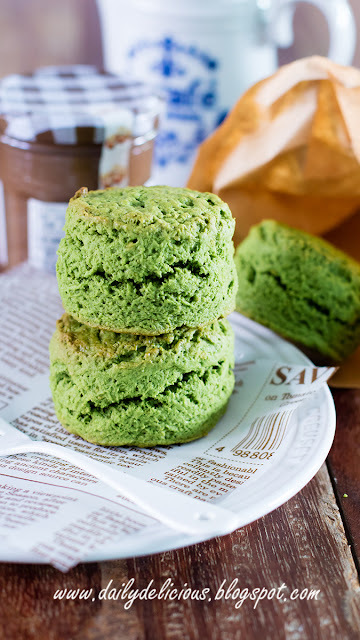 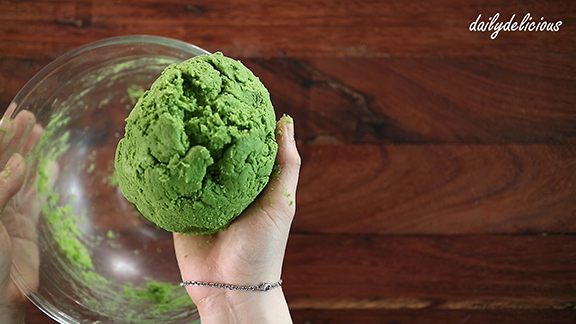 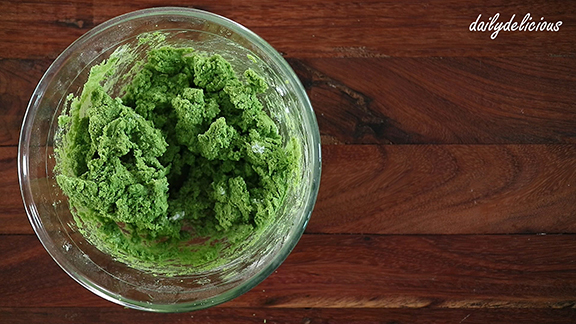 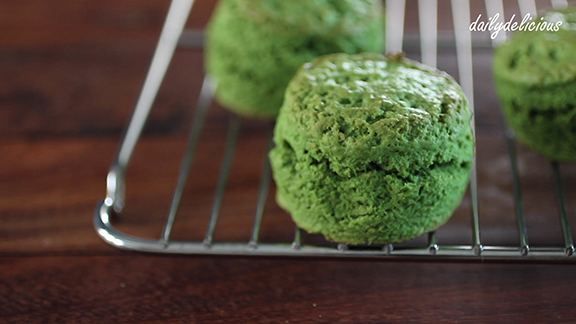 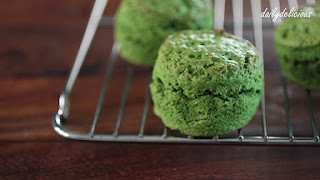 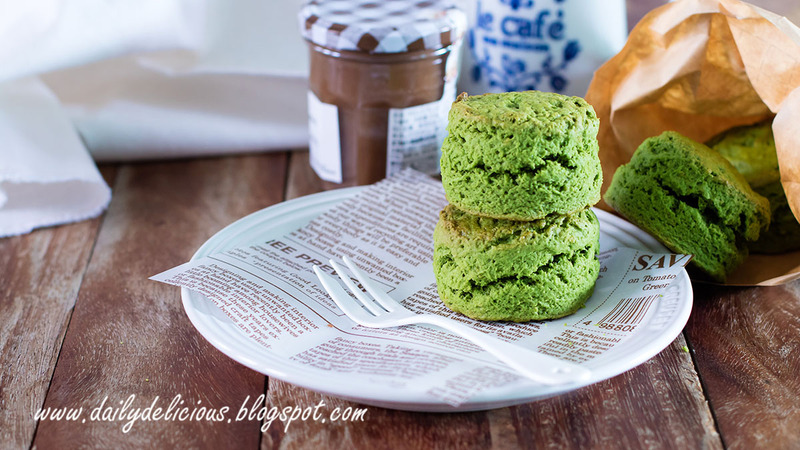 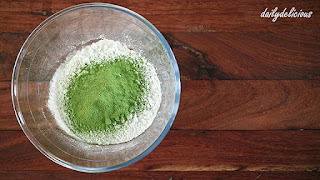 Today I will share with you my version of Green tea scone that you can make it at home, and create a happiness moment by yourself. Let's us make a little thing that could make big different in our life! Sift the green tea into the bowl. 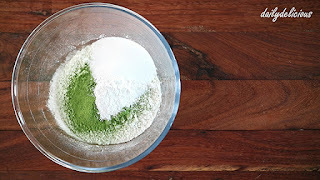 Pour sugar and baking powder into the bowl and whisk to combine. 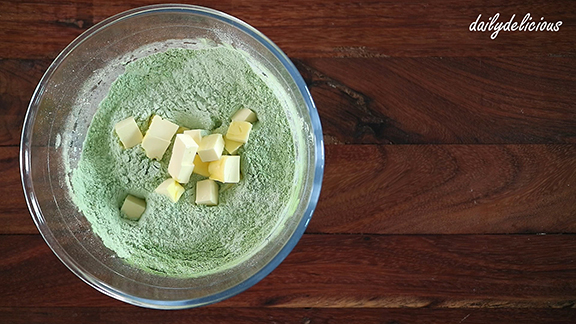 Put the butter into the bowl. 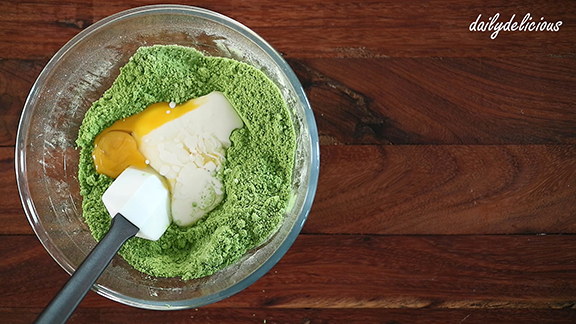 Use your fingertips to mix the butter into the flour mixture until fine crumbs formed. Pour egg and whipping cream into the bowl. 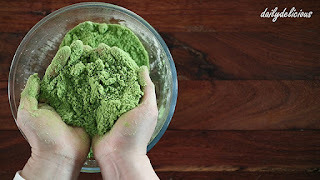 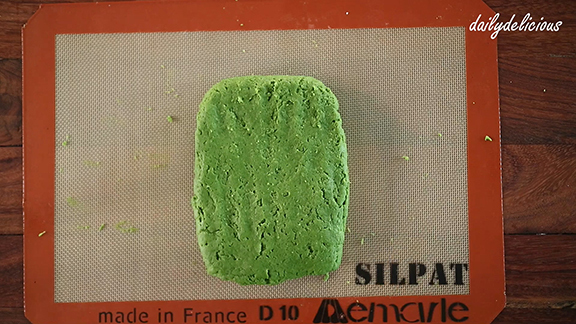 Press with your hand until dough formed. Fold until the dough becomes smooth. Cut with 5 cm round cutter. 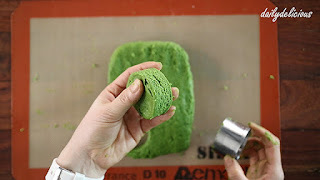 Place in prepared sheet pan, and brush with milk. 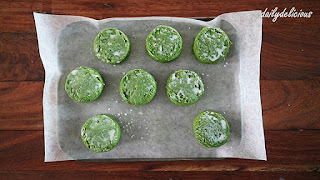 I'm French. I don't know this recipe but i would like to taste.